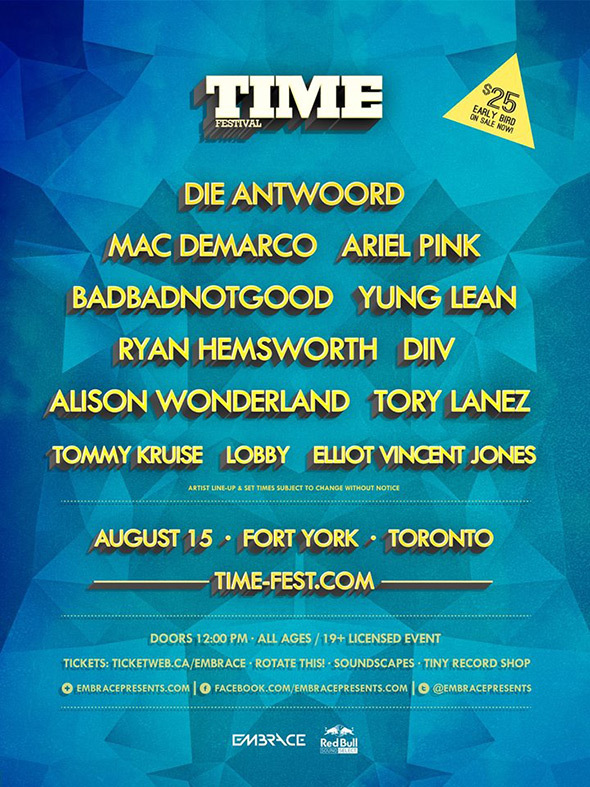 Time Festival is back this year at Fort York on August 15, presented by Embrace, and they've just announced the line-up. It's a diverse festival with elements of dance music, jazz, indie/alternative and Die Antwoord, a spectacle all their own. I caught Die Antwoord at Riot Fest and can attest to their live show being a great one to experience. I also caught DIIV opening for Japandroids at the end of 2012 so I can vouch for their live show. 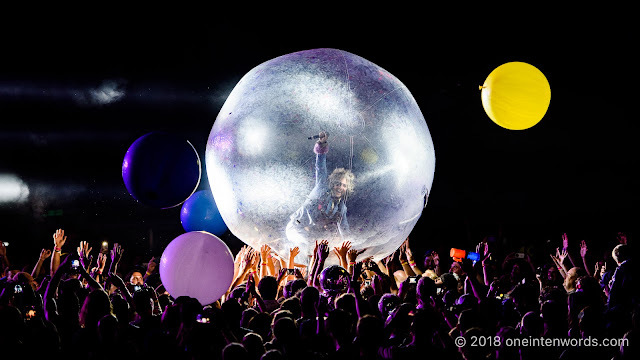 The line up includes headliners Die Antwoord along with Mac Demarco, Badbadnotgood, Ariel Pink, Yung Lean, Ryan Hemsworth, DIIV, Alison Wonderland, Tory Lanez, Tommy Kruise, Lobby, and Eliot Vincent Jones. Early bird tickets are on sale now for $25. Mac Demarco "Passing Out Pieces"
Badbadnotgood "Can't Leave the Night"